When I lived in the East village in Beijing between 1993 and1995, I mostly did painting. But I was very curious about performance art because I met some artists there who were working with performance such as Ma Liuming, Zhang Huanand Zhu Ming. Living in the East village was such an exciting time. I was very young when I lived there and almost each day I learnt new things. In 1995, I started to do collaborative performances with East Village artists and one of our seminal performances was ‘To Add One Metre To An Anonymous Mountain’. In1998, I moved to Braunschweig, Germany to study fine art. It was there that I met Marina Abramović and became her student in 2000. Since that time performance and researching performance has been my main focus. Q: What are the main focus points in your performance practice? 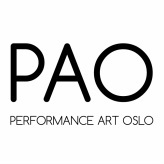 Solo Performance, Daily live Art Performance(DLAP), Equal Collaborative Performance(ECP), Performance Installation and Exhibitions which change over time. When I get invited to engage with a theme, I normally develop a performance in accordance with this topic. I usually research the theme and then slowly develop a few different concepts, eventually narrowing it down to one performance. Also, frequently, when I begin to research a theme, then I go on to develop multiple performances at the same time, for example “Father&Mother” and “Future of Imagination”. Generally, when I am invited to participate in a group show I spend some time researching the other artist’s works, then I make my concept. I think it’s important to think of a group show as one large organism. I often collaborate and normally I try to learn as much as possible about my collaborators. Then we begin to develop collaborative performances. Sometimes I do improvised performances, but I also do performances that I carefully prepare. Because I have found from my many years of experience that improvisation does not always give such a deep development. Of course, each performance has a degree of improvisation as interactive performance with a live audience always provides an element of the unexpected. One of my latest performance projects was at Fyodor's Performance Carousel in Vienna in Austria this year. I did an interactive performance with the audience incorporating a selection of my old belongings for example my old printer, Chinese children books, massage equipment etc. In the performance, the audience got to know the stories and history behind these objects and they could carry them around to other artist’s performances. I wanted to present these old objects with a new life and build connections and associations with the audience and also the other performers in the carousel. I am a full time performance artist and a researcher of performance art. Performance has had a huge impact on me and my life. For many years I have used performance in connection with other mediums such as installation, drawing, painting and video. In 2006, I made a piece titled “Dialogue with 33 artists” which was a performance-painting research project. I incorporated 33 performance artists and created a painting representing each artist and one of their performances. This work questioned the relationship between performance and painting. In “Rubbish city”(2008) in Lilith Performance Studio in Malmö, the entire 300 square metre gallery space was filled with tons of rubbish. In the big installation one heard the sound of interrupted piano music and a laughing clown which came from a distant video monitor. After advancing further into the space, it was possible to see five different characters. In this collaborative performance I combined installation, sound and video. “Happy Yingmei” is a performance that I have developed in different countries since 2011. Once the audience comes into a small forest, they can hear different sounds such as water drops and are able to interact with me in a different way. For this performance I created an installation, drawing and sound piece. I am very interested in many different materials, forms, sounds, technology and movements. However, in many of my performances I also do not use any materials, I often only use myself and I came to this idea when participating in performance festivals. Until now I have developed many performances in this way. in the performance “I am the luckiest woman in the world” (2016) I tried to encourage people and give them positive energy to bring them their own luck in life. in “Mother tongue” (2014) I did a performance in Finland based on health and beauty. I used the topic of traditional Chinese medicine to encourage people to care about their wellbeing and gain greater confidence. A lot of my work is site specific. I mainly do interactive performances as I like the surprising and the unexpected. I am interested in working in all sorts of spaces and environments because it’s an important factor that can have a huge influence on the work. Doing performance at a biennial, in a museum, on a street or in a toilet are all important to me as everywhere can be an interesting platform to perform and can provide very different audiences and therefore each place becomes a very different experience.